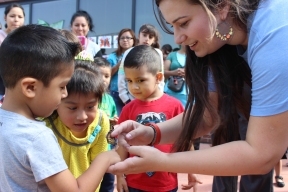 During a sunny Thursday morning, families gathered at the El Valor Carlos H. Cantu Children and Family Center, 2434 S. Kildare Ave., to release more than 100 monarch butterflies raised by El Valor families and staff. 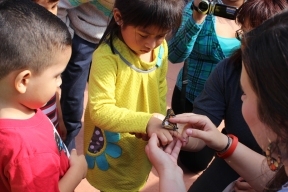 Used as a teaching tool, the monarch program aims to raise awareness of the monarch’s diminishing North American habitat. Monarch butterflies migrate to the state of Michoacán in Mexico, where they arrive in time for Día de los Muertos celebrations in late October. To learn more about programs at El Valor, visit www.elvalor.org.